Support is offered to all those who need financial aid to implement and successfully complete their particular project, regardless of whether they are still students or already have a few years of working experience.However, the project must come within the scope of HTF’s Charter. This means it must be connected in some way with the medical, scientific or technological fields. 242 projects are generated when a student and the Foundation meet, share and agree, working together in a spirit of collaboration and cooperation. Support forproactive, curious and passionate young people is part of the Foundation’s philosophy. Our aim is to encourage initiatives by those prepared to commit to find their path to success. If you have already embarked on a scientific, technological or medical career (and on that condition only), then go ahead and submit the form so that we can review it before making a first contact.  HTF’s Committee has made a commitment to consider all the projects submitted to it and to answer each applicant personally. We look forward to discovering your project and meeting you! To find out more about the conditions and the upcoming dates, please complete the registration form (https://2day42morrow.ch/inscription/) and we will contact you as soon as possible.